Sometimes we truly find treasures in the attic. 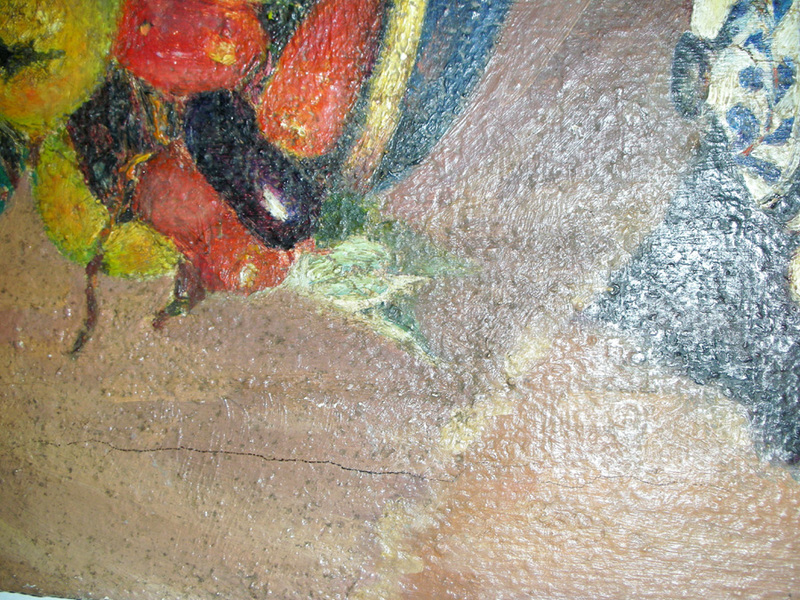 However, those old paintings, handed from one generation to next are often damaged by neglect and abuse. 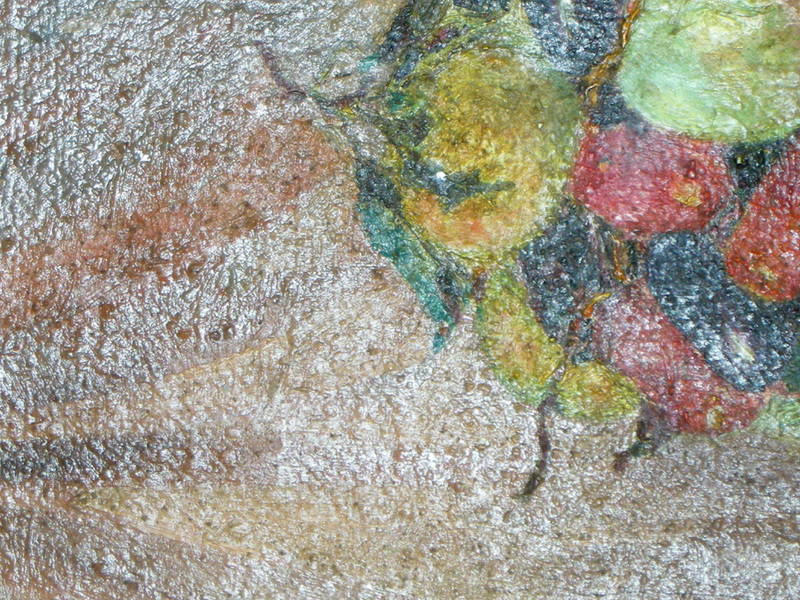 The reason for the neglect is often because the painting has faded and lacks color and clarity, or we simply don't know what the painting represents. However, often there is a treasure hiding beneath the grime. Art has beauty. And art restoration can refurbish that beauty. 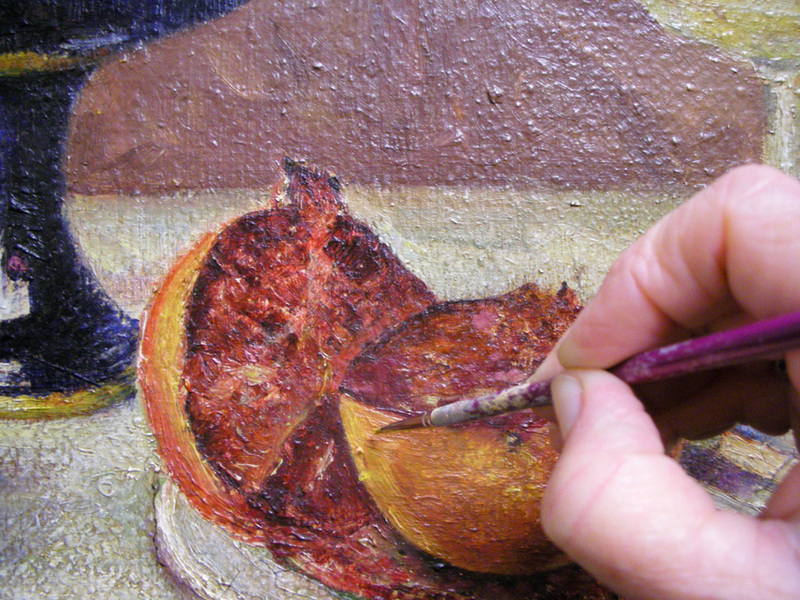 We offer the ability to repair damaged art, restore art, and bring new life to old pieces of beauty. 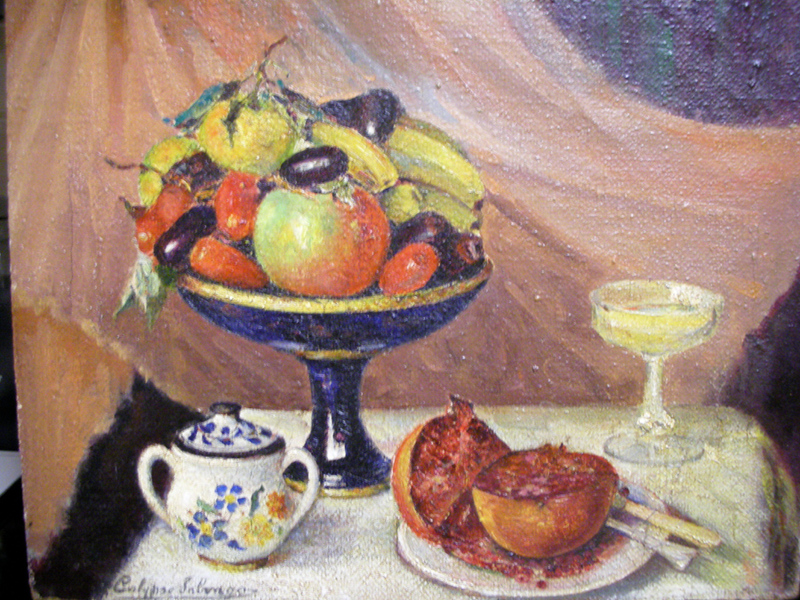 This image has a crack in the oil, just under the fruit. This is repaired and filled over a period of time during the restoration process. Click on the image for a more detailed picture of the damage. The crack was filled. For greater detail, click on the image. Art before being retouched . The restoration process is not a quick process. It takes time and talent. 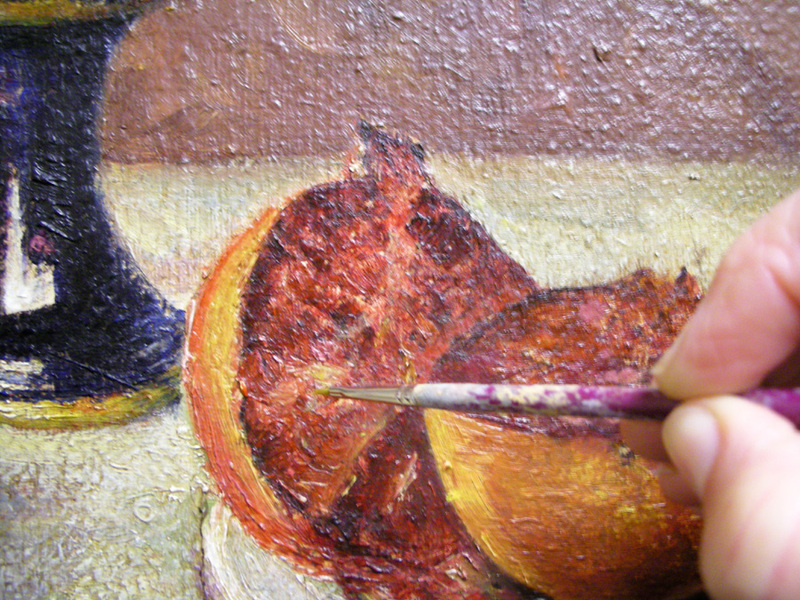 Restoration of the image is done carefully and slowly to repair damage to the original oil painting. For greater detail, click on the image. The colors are cleaned. For greater detail, click on the image. The oil painting is being cleaned and restored. For greater detail, click on the image. The painting has been fully restored. 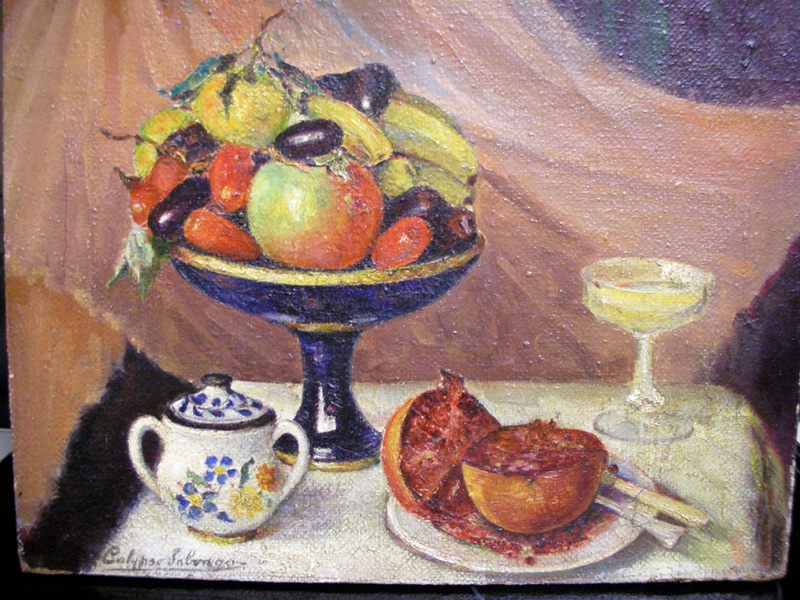 Note the return of the vibrant colors and details. Cleaning and paint repair are part of the overall process toward restoration. For greater detail, click on the image. No two art restoration projects are the same. 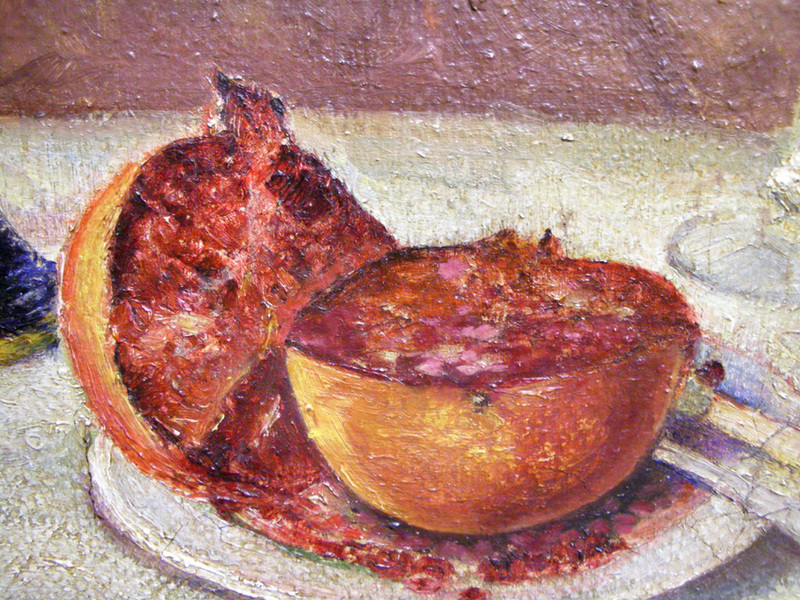 It's for this reason we offer a wide range of services designed to restore and clean your art. Feel free to contact us regarding any questions you have about art cleaning and restoration. We will happly assist you.